At Netpremacy, we’re always looking to provide insight and advice into best practice for the cloud solutions that we offer, this article (third in the series on G-Suite) highlights the benefits of G-Suite for remote workers and those on the move. In this day and age, remote work is becoming more imperative for many businesses around the world. Mobile working on G Suite allows employees to work from any device whether they are in the office or on the go. 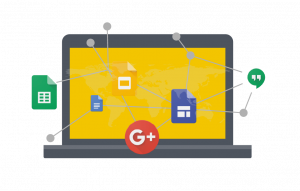 All G Suite tools are easily accessed from within your browser or mobile apps which means that remote working has never been easier. 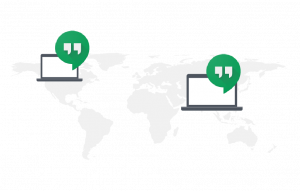 Remote or traveling workers are now able to stay in the loop easier with video conferencing, with up to 100 participants, real-time collaboration in documents and delivering presentations remotely. G Suite comes with the added bonus of not being tied down to one particular computer or laptop. Access to G Suite is available through mobiles apps, found on the App Store and Play Store. Mobile working gives employees the desired flexibility, without having to worry about data loss or lack of data security. It can also increase your companies overall collaboration and productivity and empowers your staff, leading to better productivity and overall job satisfaction. It’s never easy keeping on top of your workload when you’re worried about wifi! G Suite has offline capabilities that mean you can keep on working even when you lose internet access. In Gmail, there are native offline capabilities that make it possible to work without any interruption. When using Gmail in a Chrome browser you can search through up to 90 days of messages, compose new emails and organise your account without any internet connection. This makes mobile working accessible to everyone. Google Drive offline means that you can continue to create and edit native documents without internet access. This means you never have to fall behind just because you are stuck without wifi! Offline working can easily be turned on in the admin console. 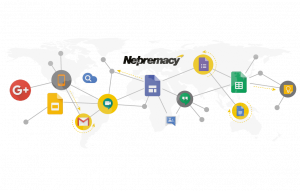 Find out more about G Suite and all of its capabilities by visiting our G Suite page here. 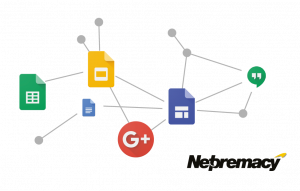 Contact us for further information on how Netpremacy can help you to transform your business with G Suite.